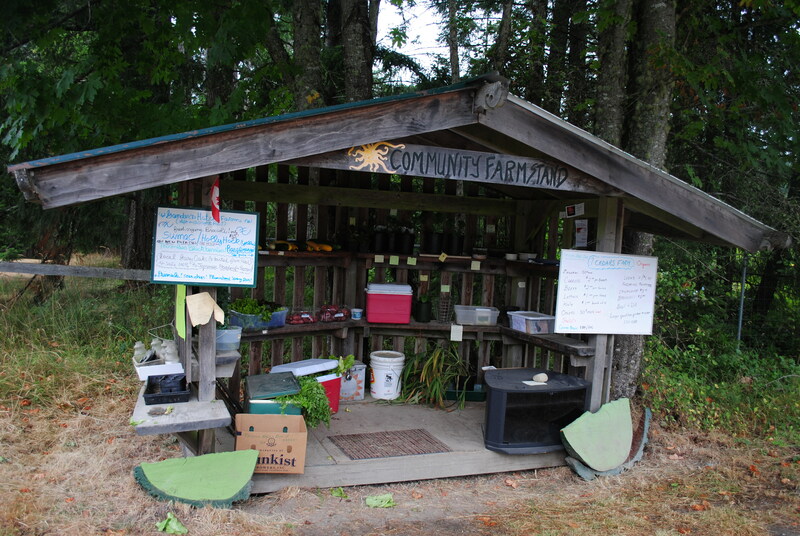 In addition to the Coop tour and promoting the goodness of backyard (or front yard) coops and urban farming, the Coop tour is also helping to promote another idea of how to share the bounty of our gardens and harvests with our local neighbors and community through Community Farm Stands. 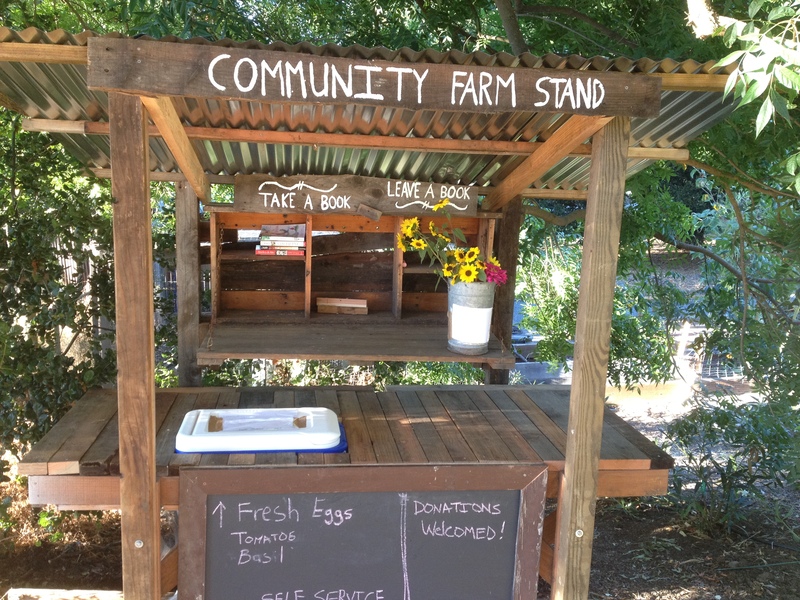 I’ve created a neighborhood community farm stand in Los Altos Hills and a website to explain a little bit about it’s purpose and history. 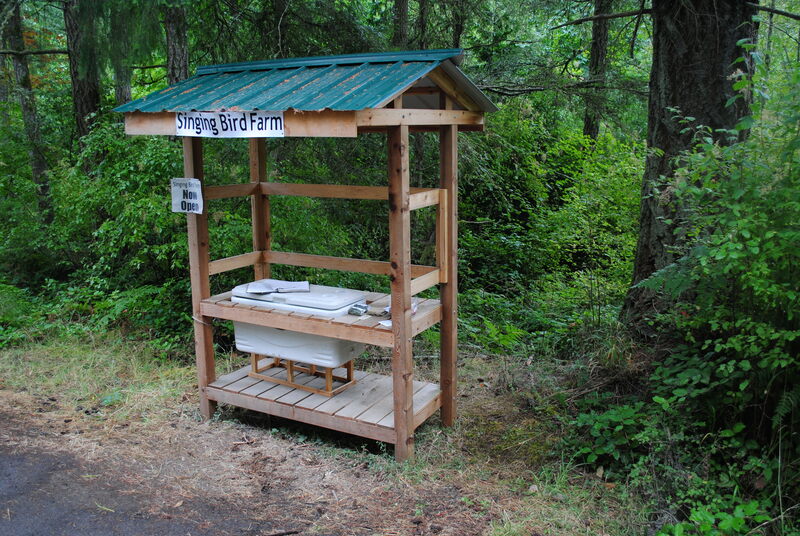 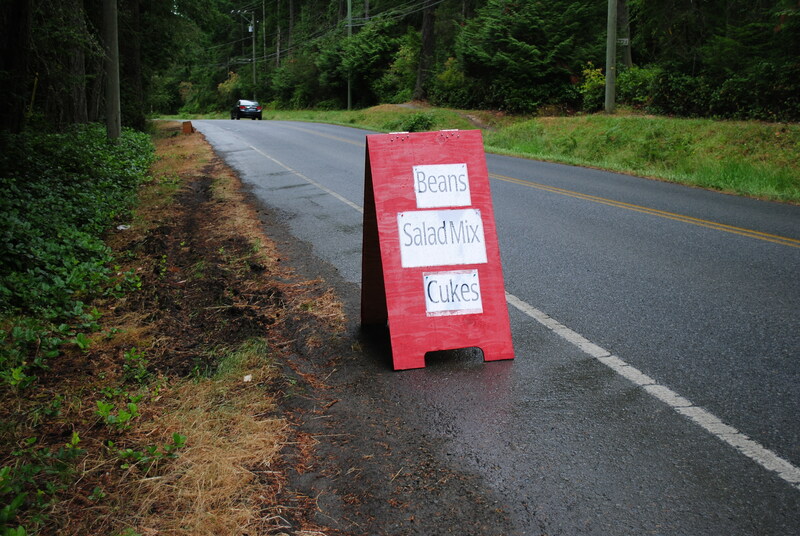 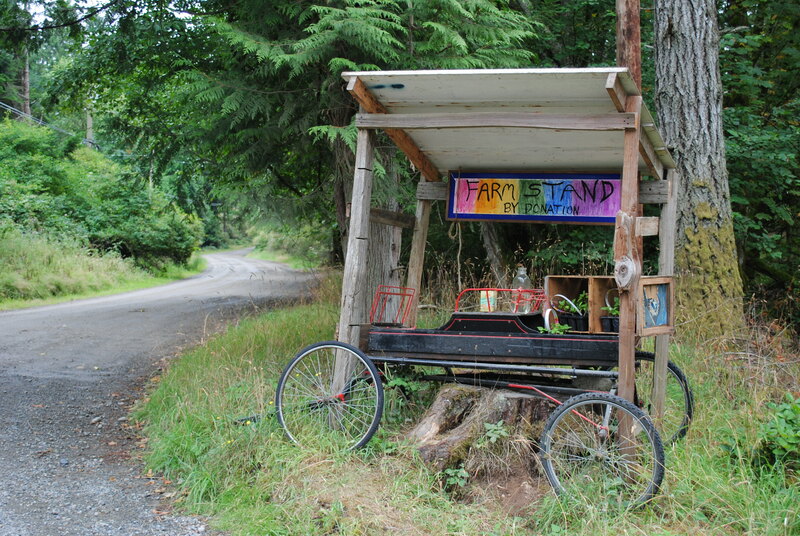 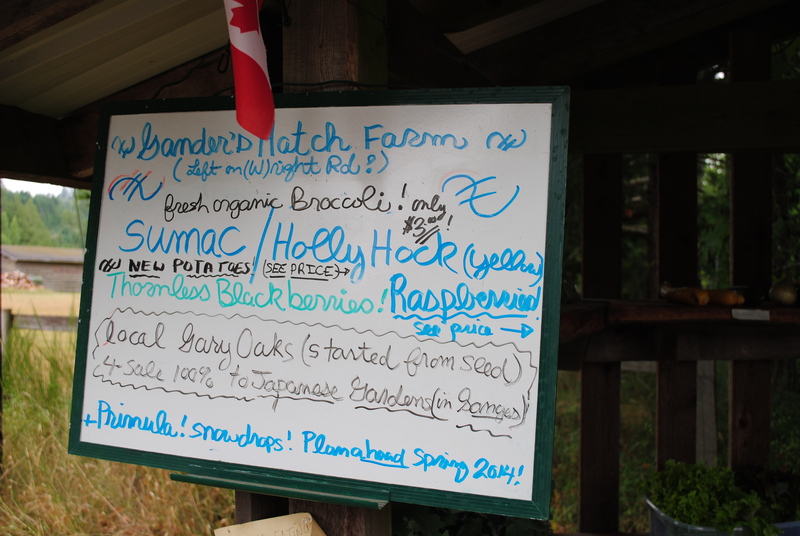 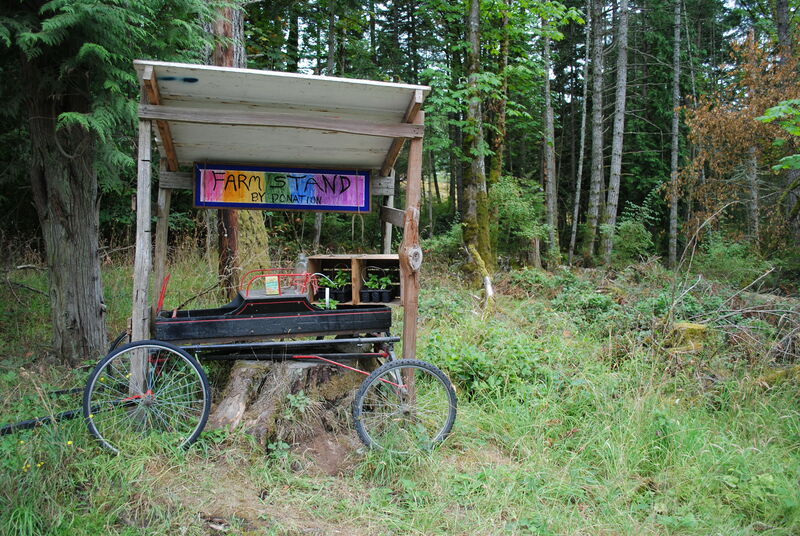 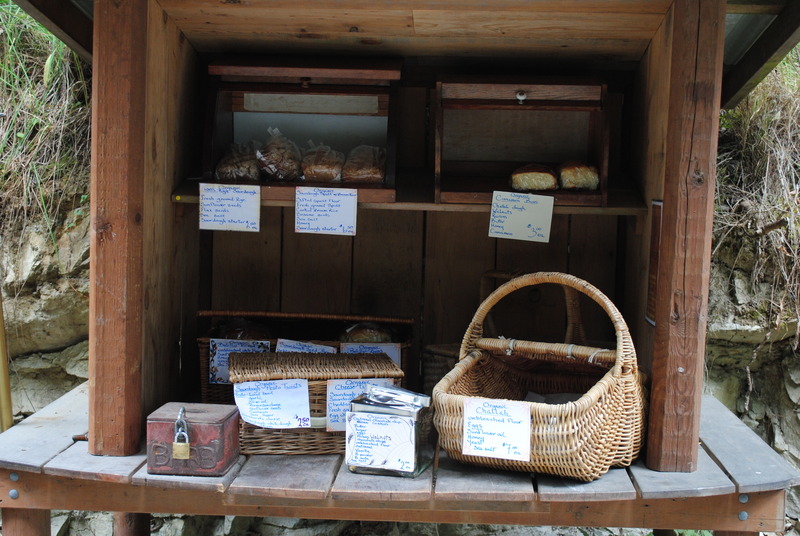 If you have a farm stand, we could also feature it on the coop tour, even if you dont’ have a coop. 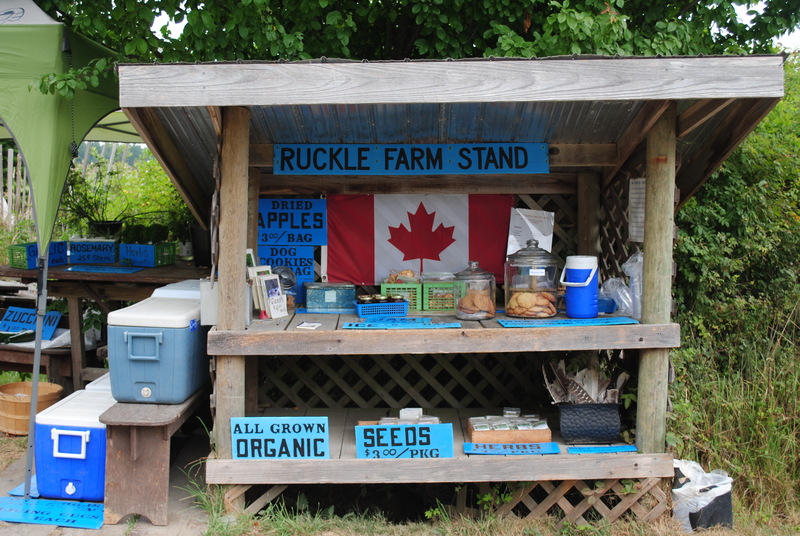 While visiting Saltspring Island in BC, Canada this month, I was impressed with these individual family farm or neighborhood farm stands in front of residences and thought how perfect these farm stands would be in our communities to share the bounty of our backyard and front gardens and coops! 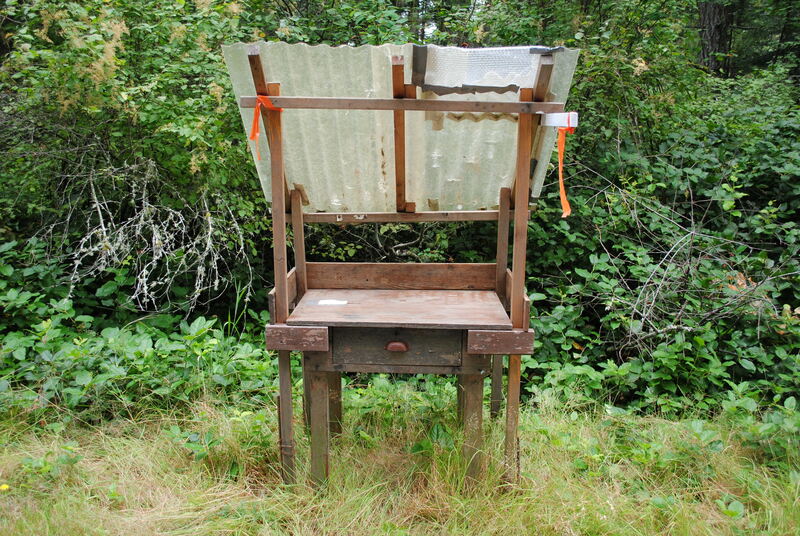 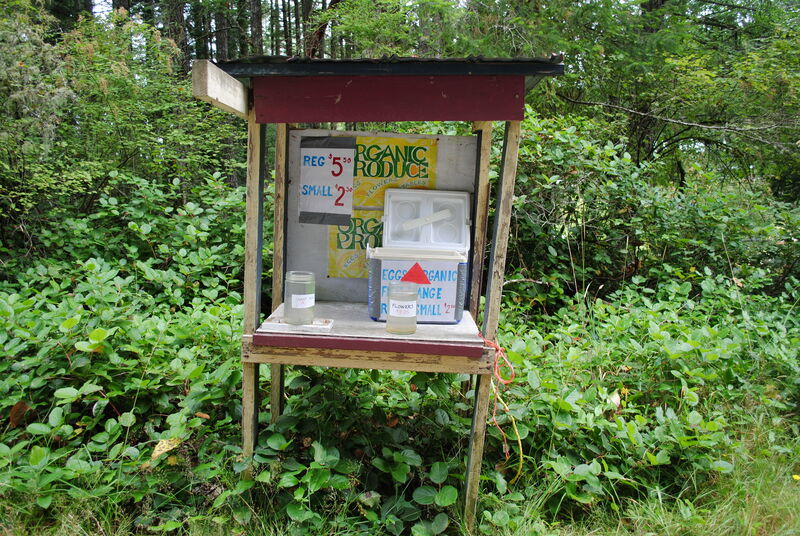 These stands were very simple to construct, and they often used coolers with re-usable ice containers and simply sold or shared the bounty of eggs, and fresh vegetables, seeds, cookies, lemonade, etc and sometimes prepared cooked goods with those passing by. 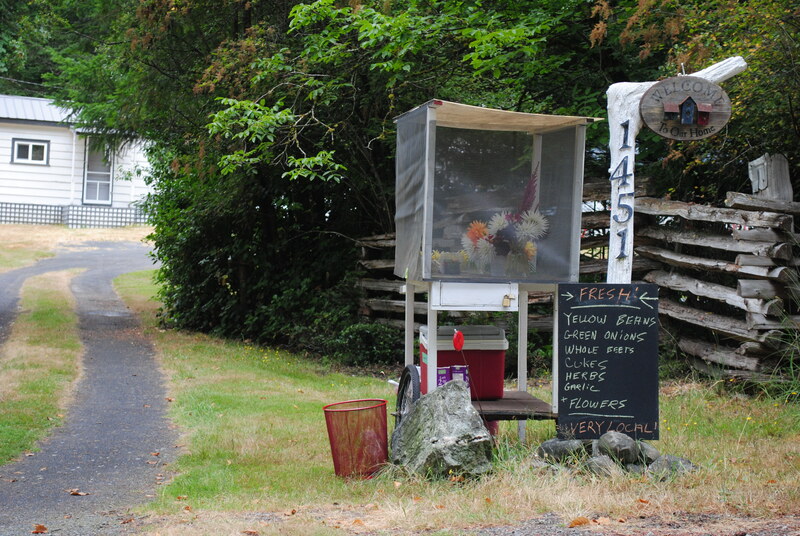 These farms stands were all over the island. 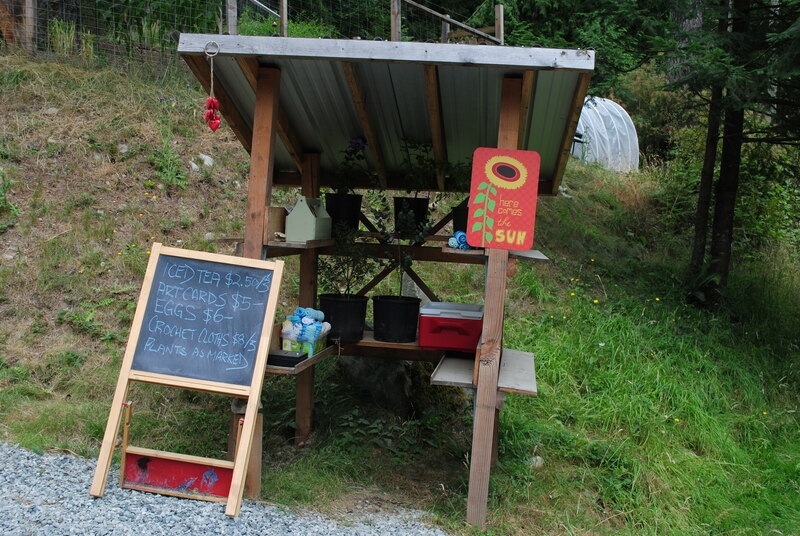 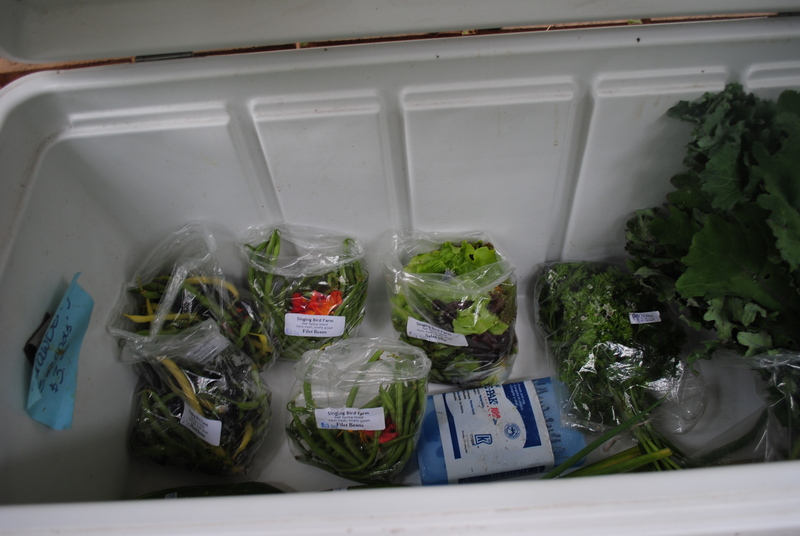 Hopefully these pictures here will inspire a new set of neighborhood and community farms on our coop tour!